Lightweight Vacuum Cleaners – Mobility problems, elderly or disabled? I was asked not long ago by someone at Age UK what I think a vacuum cleaner for the elderly or even those with mobility problems. I had a think about how I used vacuum cleaners and what I take for granted. Using two hands to empty a dust container? Could I assemble accessories on the go with just one hand? It hadn’t really occured to me, apart from the obvious weight issues of vacuums, how these people face the detailed tasks of cleaning their homes. Other aspects, such as dusting, sweeping or cleaning with a damp cloth, may not be so much of a problem because you can do most of these tasks with one hand or use telescopic handles to get to those normally out of reach areas. 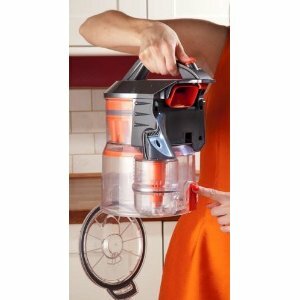 But vacuuming presents a number of problems such as assembling parts on the go. How easy is it to change the floor head to, say, an upholstery attachment with one hand or arthritic hands that are painful? What about power cords that don’t flex and rewind automatically? Or stiff buttons and kinking hoses? Below are some areas which may present problems when vacuuming and why it’s advisable to ensure you know what you are buying before you open and use it. This is a common problem for those that are elderly and carrying a heavy weight machine around the home is not going to do you any favours. 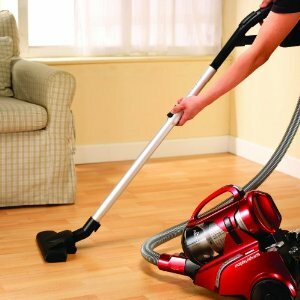 There are lightweight vacuum cleaners around the 5kg mark (cylinders or uprights) and you can even consider a cordless machine which are even lighter at around 2 – 3kg. Of course, this means charging it up for lengthy periods of time. – How easy are those power cords to pull out? – When lifting the machine, how well positioned are handles? – If you’re carrying the machine, do you also have to carry the hose with the other hand as with cylinder vacuums? – can the power cord be retracted easily or do you have to wind up the cord? – where are accessories stored? Are they onboard, what positions are they in and how easy can they be removed? – are accessories easy to find or are they tucked away? – where is the on/off switch? In the case of uprights, you may need to use a foot pedal. – is the bin container visible? Some are transparent and sit in clearly visible positions so you know when it needs emptying. Are there any buttons to press to empty and do you need two hands to replace back into the machine? – what areas of the machine does the manufacturer suggest cleaning? Perhaps there are filters or other sections that amy need emptying, cleaning with soap or rinsing? – is there a clear guide for typical problems like blockages for example? What are you expected to do in these circumstances? – Are there tools for every area of your home/office that needs cleaning? If you plan to clean curtains or sofas, is there an upholstery tool or a dusting brush?